coloured resin. 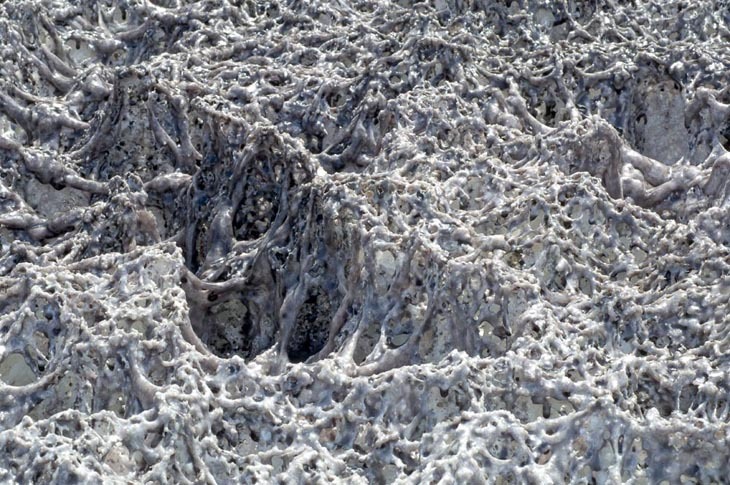 Reminiscent of Gustav Metzger’s Auto-Destructive art, the two chemically incongruous materials reacted, and the Styrofoam was eaten away, creating an strange stucco-like surface. Mounted on shipping crates Helium Brick looms with alien presence, its texture suggesting something biological and unnatural, framing his sculpture as a specimen of dubious origin.